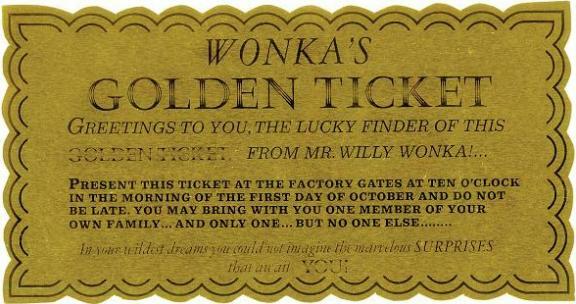 Beginning in two weeks from tonight on October 27, 2010 something wonderful and exciting will be happening! “Hollywood Treasure” a new program will be airing on SyFy! Hollywood Treasure is a reality based program and is something most, if not all movie and television fans should enjoy! The Profiles in History Team , several whom I have had the pleasure of meeting, will search planet Earth week to week to locate extremely rare entertainment items often lost to history and bring them back for everyone to bid on and perhaps own for themselves! 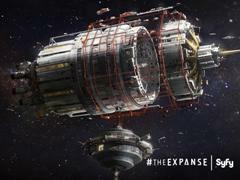 As many of you have been aware, Profiles in History, the world leader in auctions of rare memorabilia is teaming up with SyFy. We here at WormholeRiders News Agency have had the privilege of witnessing Profiles in History in action during our coverage of the LOST Auction! 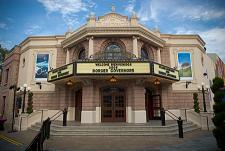 The Profiles in History Team are dedicated professionals whom we are convinced you will enjoy observing for yourself. To that point, below please find the panel video discussion courtesy of the fine team at SyFy regarding Hollywood History from the Digital Press Tour attended by Ash0283 and conducted this week in Orlando Florida! I hope you have enjoyed the panel video and suggest that you tune in October 27, 2010 for the premiere of Hollywood Treasure! We include the entire press release below for your reading pleasure courtesy of MJK Public Relations. As always, thank you for reading, viewing and importantly, thank you for visiting WormholeRiders News Agency. Please feel free to leave a spam free comment or question here about this news article. Or as so many of our visitors prefer, visit WHR or me on Twitter or on Facebook with your comments or questions.We will respond as soon as is possible. Thanks again! Syfy is debuting a new reality series called “Hollywood Treasure” on Wednesday, October 27 featuring Joe Maddalena, the world’s leading authority on entertainment memorabilia. 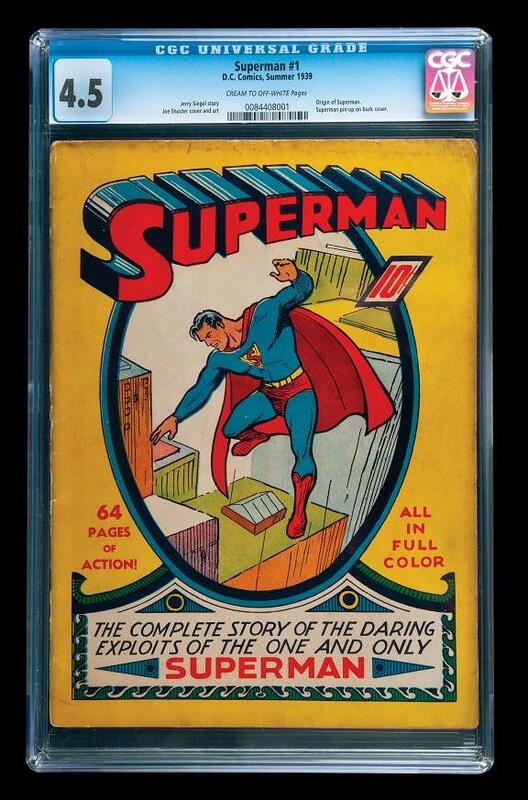 Joe hunts down the memorabilia items, and auctions them off for top-dollar to pop culture collectors. Recent finds include the Wicked Witch’s Hat from The Wizard of Oz, Jeannie’s Bottle from I Dream of Jeannie, and the Magic Carpet Bag from Mary Poppins. On November 06, 2010 at the Globe Theatre at Universal Studios, Profiles in History be holding another auction to commemorate the 25th anniversary of Back to the Future. This auction will be open to the public, and people are also able to make bids on items online at iCollector Dot Com. All proceeds from the auction will go to benefit Michael J. Fox’s foundation. Michael Jackson’s stage-worn Victory Tour sunglasses, which he gave to Corey Feldman as a gift, valued at $10,000 – $15,000. Below is a brief description on the series. Joe is very well-spoken, incredibly knowledgeable, filled with priceless stories, and is fun and easy to talk to. Please let me know if you’d like to do a story in advance of the October 27 premiere of his new show, and to also alert people about the cool Hollywood 42 Charity Auction happening November 06, 2010. 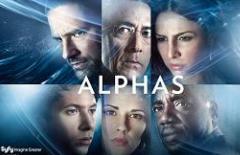 Two back-to-back half hour episodes Wednesdays (10:00 – 10:30 p.m. and 10:30 – 11:00 p.m. ET/PT) on Syfy Starting October 27. 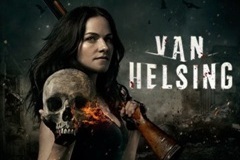 Syfy’s new reality series, Hollywood Treasure, featuring Joe Maddalena, will premiere Wednesday, October 27 with two back-to-back half-hour episodes at 10:00pm and 10:30pm. 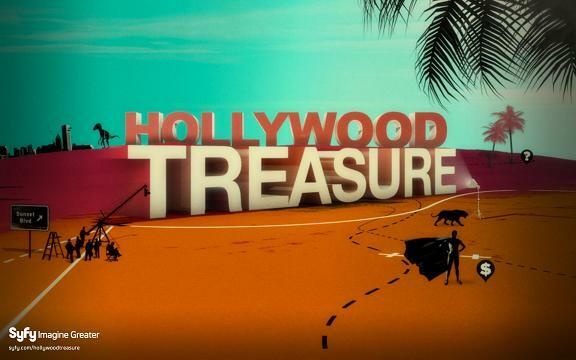 Hollywood Treasure is a weekly documentary-reality series that delves into the intricate world of collecting of showbiz and pop culture memorabilia, including science fiction and fantasy props and costumes. The series follows Joe Maddalena, owner of Profiles in History and the world’s largest auctioneer of original movie, television and pop culture collectibles. Each episode follows Joe and his crew as they travel the globe searching for the most compelling, rare, and sought-after Hollywood memorabilia. 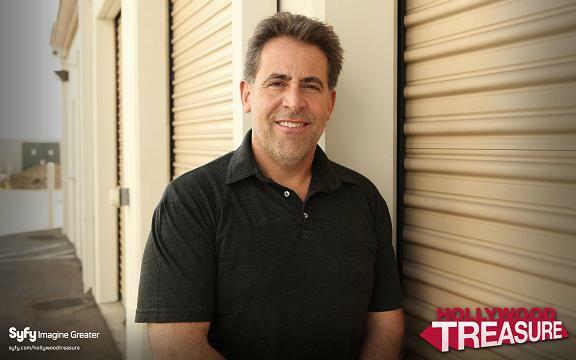 Sometimes combing through basements and attics to uncover lost Hollywood treasure, and other times meeting with celebrities to view their personal keepsakes, Joe tracks leads and does whatever it takes to seal the deal for a piece of Hollywood history. From the Wicked Witch of the West hat to the vintage Chitty Chitty Bang Bang car to the Mary Poppins carpet bag, Maddalena will stop at nothing to hunt down some of Hollywood’s most legendary and mythical items. Episodes culminate with Joe presiding over a world-class auction, where all of the collectibles are sold to fans and collectors from around the world. Joe Maddalena is also hunting down the lost Ruby Slippers from The Wizard of Oz, which were stolen from the Judy Garland Museum in Grand Rapids, MN in 2005. He’s putting up a $10,000 reward to anyone who can help his hunt. He is working with an investigator and has some solid leads which he can share with you. Hollywood Treasure is produced by Shevick*Zupon Entertainment. Jerry Shevick, Mark Zupon and Bruce Toms are Executive Producers, and Co-Executive Producer is Steve Longo.